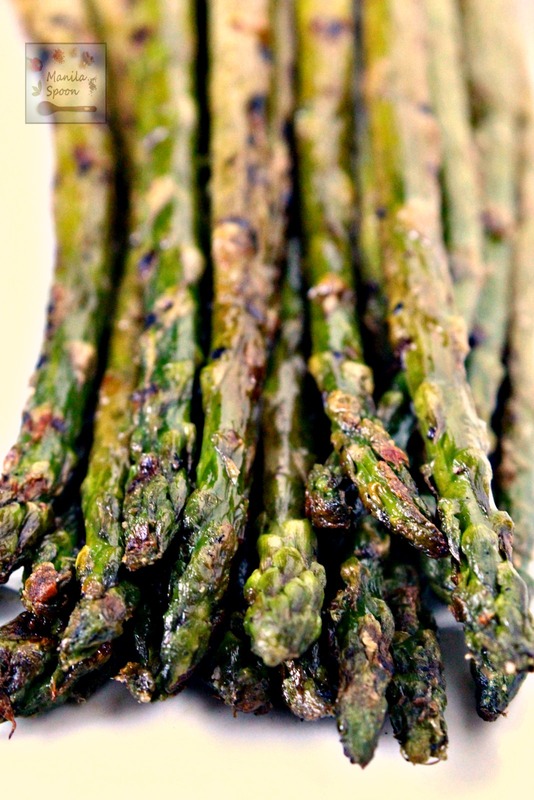 Simple, delicious and healthy, this easy grilled asparagus takes less than 5 minutes to make! This is such a crazy week for us! We recently bought a home, just last week actually. We’ve been renting an apartment the past 2 years since we moved to New Haven, Connecticut. We knew it would be a temporary arrangement and the right time has arrived to move to a new place. Are we excited? We certainly are!!! But with this big move, you can imagine that doing elaborate meals wouldn’t work. There simply isn’t any time to get too involved in cooking, at least temporarily. 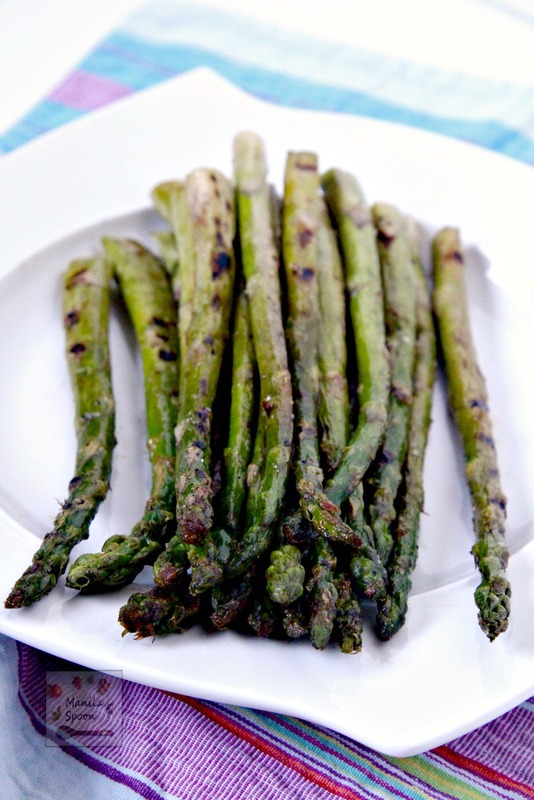 So I am happy to share this super quick and easy recipe for grilled asparagus which we have been enjoying during our transition phase. Not much prep is required and grilling is a breeze. Depending on how well cooked you want your asparagus or how thick it is (chunkier ones may take slightly longer) this takes between 3-5 minutes. With such a relatively short amount of cooking you know the vegetable retains not only all of its nutrients but also all its juicy goodness! You can certainly eat this plain but for an even yummier side (snack for me!!!) why not toss it or sprinkle it all over with shredded or grated parmesan right after grilling? Perhaps even squeeze a few drops of fresh lemon juice to add some extra tang! It’s all up to you! Whether on its own or dressed up with parmesan and lemon, it’s certain to be tastyyyyy!!! Enjoy! Prepare the grill. Toss the trimmed asparagus with some oil, salt and pepper. Place on the grill and turn every minute until cooked and crisp to your liking about 4-5 minutes. 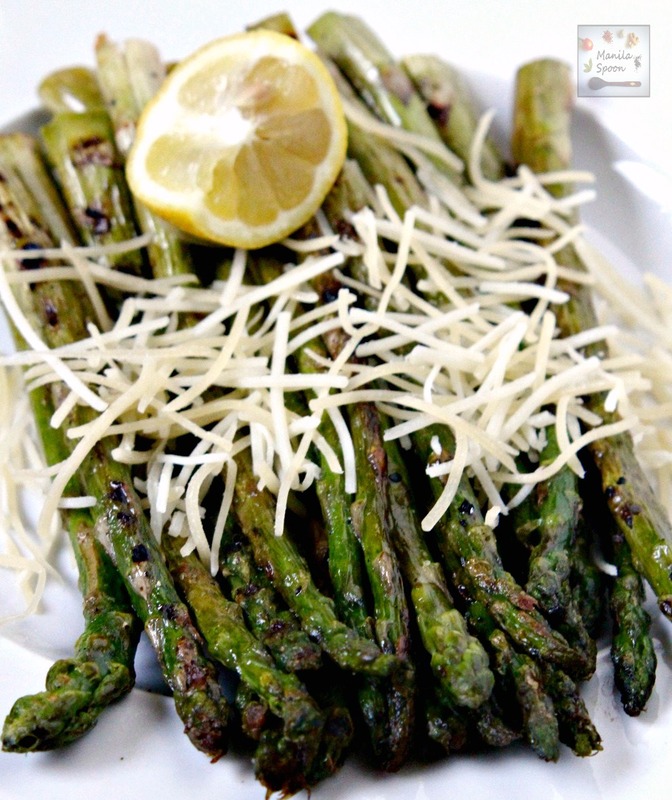 In a bowl, sprinkle the parmesan cheese over the grilled asparagus. Toss to coat with the cheese. Squeeze a few drops of lemon juice, if desired. Serve immediately. We are trying to make the most of asparagus season and this is how we love it too – it goes so well with the lemon juice. This looks delicious! I absolutely love grilled asparagus.